UPDATE (8/6 at 7:02 p.m.): The NYPD now says the incident took place on the 12th Avenue crosswalk at 46th Street. The Wheel’s graphic illustrating the event as originally described by police has been removed. The driver had a green light and was found by a breathalyzer to be sober, police said. Recent Emory graduate Jack Koval (16B) died after being struck by a vehicle in the Hell’s Kitchen neighborhood of New York City early Sunday morning, according to the NYPD. He was 22 years old. Koval was an analyst at Centerview Partners in New York City, according to an obituary in his hometown Rochester Democrat and Chronicle. 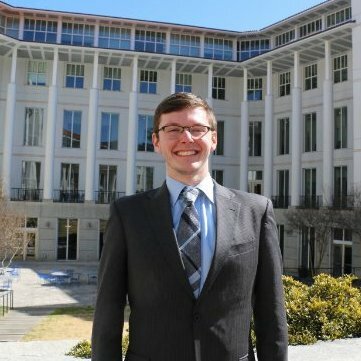 He graduated from Goizueta Business School this past May with majors in Finance and Mathematics. 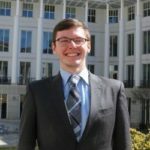 At Emory, Koval was a brother of business fraternity Alpha Kappa Psi (AKPsi), recruitment chair and later treasurer for Club Tennis and an executive member of Emory Entrepreneur and Venture Management (EEVM). The incident took place as Koval walked across 12th Avenue on a crosswalk at 46th Street 2:17 a.m. Sunday, according to police. Emergency vehicles arrived on scene and found Koval lying unconscious on the highway, according to the NYPD. First responders attempted to keep Koval stable en route to Mount Sinai St. Luke’s Hospital, but he was pronounced dead at the hospital at 2:41 a.m. from head and body trauma. According to the NYPD, the 26-year-old driver of a 2014 Dodge Charger had attempted to change two lanes as he passed 45th Street northbound. He first moved into the right center lane, then into the right lane, where he struck Koval. The driver was not injured. The driver remained on scene and fully complied with officers, police said. No criminal charges have been pressed at this time. The NYPD was unable to disclose further information because the investigation is still active, according to NYPD’s Public Information Office. B-School junior and AKPsi President Grace Cleland remembered Koval’s inquisitive and hardworking nature. Counseling and support services are available to the Emory community. Students may reach the Counseling and Psychological Services Center by calling 404.727.7450 or the Office of Religious Life at 404.727.6225. Faculty and staff may reach the Faculty Staff Assistance Program at 404.727.4328. Correction: (9/14 at 10:31 p.m.): In light of the above update, the location of the accident has been changed in this story to reflect the NYPD’s current report. While police first said the incident took place between W 45th and 46th Streets on 12th Avenue, they most recently said it happened on the 12th Avenue crosswalk at 46th Street.